Ah yeah, I'm on a roll!! Three days in a row - go me! I finally took some pictures of the yard sale finds I procured the other weekend. Check it out!! This is a cool shelf/ spice rack thing I got for $3. It's got some tacky 70's contact paper on the back that seems to be coming off fairly easy. 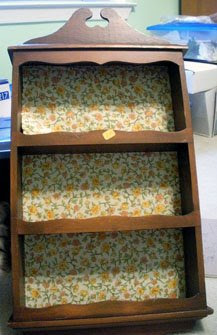 I hope to paint it, distress it, and then use it for extra storage in the craft room. 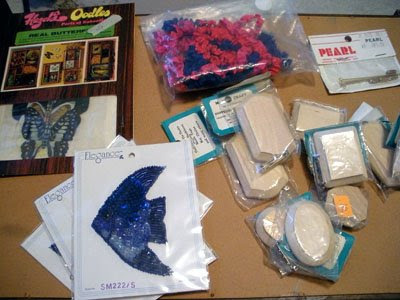 Here are some of the craft items I was able to purchase. The sequined appliques are for my mom, but all the rest is for me. These were my favorite craft items from the previous picture. 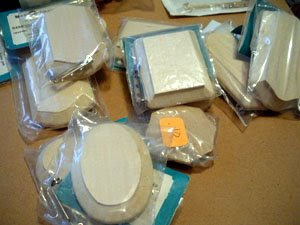 They are simple wood block pieces that come with pin backs. They seem to be fairly old and many of the pin backs were a little grungy. But, they were only a dime each and I've got plenty of pin backs in my stash. These are going to be a lot of fun. 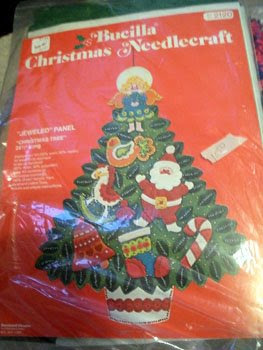 Here's an older needlepoint kit. I haven't opened it or inspected it very well, but it has the larger image, all the smaller 'ornaments', and all the sequins that go with it. Lastly, this is just some jewelry and some hair combs that I got. I figured I could alter the jewelry in some way and add some feathers, flowers, ribbons, and fru-fru whatevers to the combs. We'll see. Now - wasn't that worth waiting for? Well, if that didn't satisfy your thrift tastebuds, here are a few links for you on this "Thrifty Thursday"
Here are 16 creative ways to upcyscle before you recycle. How about a list of the best free stuff on the web. This is mostly web and technology based 'stuff'. I know you're growing tired of the pumpkins, but here are some no-carve pumpkin ideas and finally, a complete list of pumpkins and jack-o-lanterns. Now, I promise NO MORE. Check out these 19 creative Halloween ads. They're just magazine-type ads, but really cool. 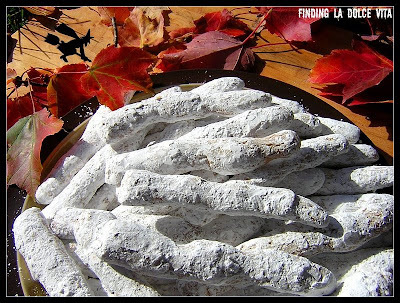 How about some "bones of the dead" cookies. Creepy and yummy looking!! Now, if you are running out time to get a costume, this link will give some ideas for making your own Halloween costume. 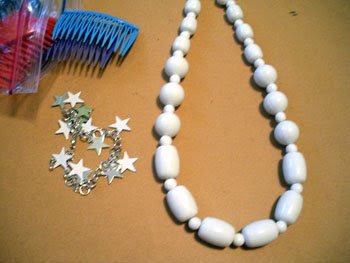 Most of these are really easily made from items you should have on hand or that are inexpensive and available. Oh, my personal favorites are: bubblegum, babysitter, and identity crisis. This is such a cute reference. Lastly, here's how to make a head in a jar spooky decoration. Alrighty, this may be too much of a good thing to continue - but I'll try to be back tomorrow. See ya' then!!! I love the spice rack...well the potential for what can be done with it...and for so cheap! Hope you are having a SPOOKY Halloween tonight!